This is Leengo. She is a student at Kipsing Aademy in Kipsing, Kenya. Kipsing is a small isolated village about 78 very rough kilometers from Isiolo. It is a home to the Samburu tribe, a very traditional pastoralist community. Originally established by the Catholic Church, Kipsing Academy is now a public school. At its helm is Maina, a forward thinking, resourceful Kenyan principal. His clear, well spoken goals for the school have developed the school beyond most rural schools. Leengo is top in her class. 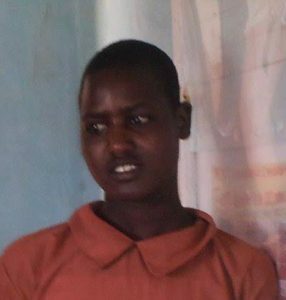 She needs a regular sponsor ready to assist her with her education through high school and possibly beyond. Kipsing is often on our list of places to bring sponsors and volunteers. 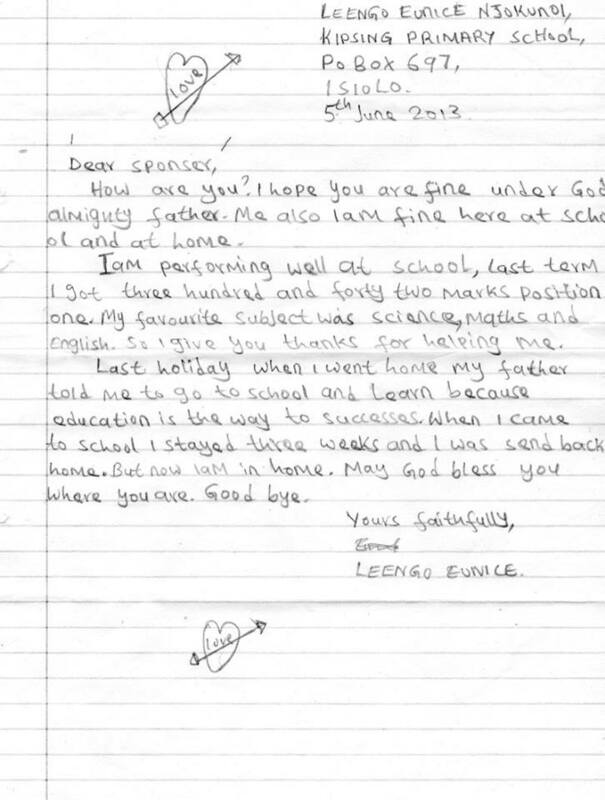 This is a recent, June 2013, letter from Leengo. She is TOP in her class!